Summer is beach season! Vacations, long weekends, and days at the beach are fun ways to spend quality time with your child while taking advantage of summer’s beautiful weather. 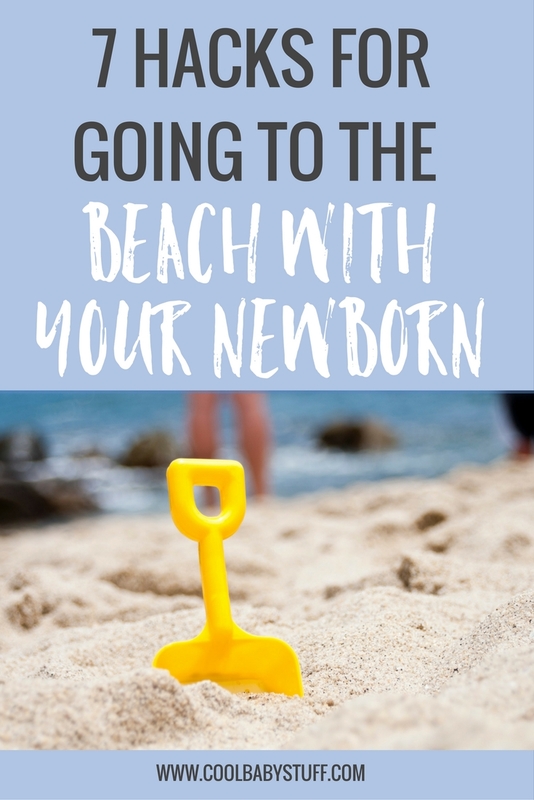 Whether you are new to beaching with a baby or just looking for new ideas about what to pack, look no further! 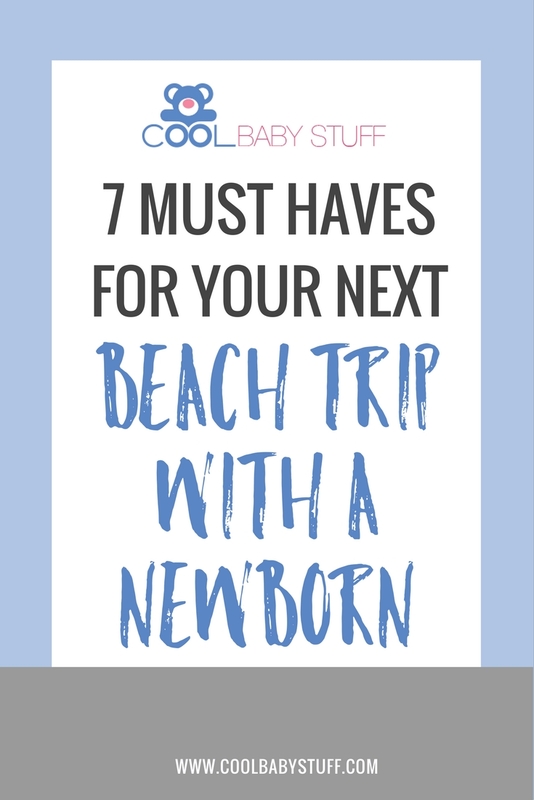 Here are 7 must-haves for your next beach trip with a newborn. If you are looking for actual activities, here are budget friendly water activities you can do with your baby! Sand is the archenemy of baby skin. It is scratchy and can irritate baby’s skin, finding it’s way into everything. Rash guards and cover ups offer protection from all things sun and sand. Hats and sunglasses keep the hot sun out of baby’s eyes and off of their sensitive scalps. Ditch the diaper bag for the day and instead pack enough diapers (regular and swim), as well as wipes, to get you through your day! Swim diapers are especially important if your little one is going to be getting near the water because they don’t contain water crystals (sodium polyacrylate) like regular diapers and, therefore, do not absorb liquid. This one seems like a no-brainer, but it’s easy to forget to throw a bottle in your beach bag before you take off for the day. It’s a good idea to lather up your little one at home before you even take a step outside, and then reapply according to the product’s directions. It’s important to remember to apply sunscreen generously, even with protective clothing such as rash guards and cover ups. That’s right, regular old baby powder comes in handy not only for diaper rashes, but for sand removal as well! Simply rub powder on sandy legs, feet, arms, etc. Powder is gentle on your baby, removing sand without irritating skin. 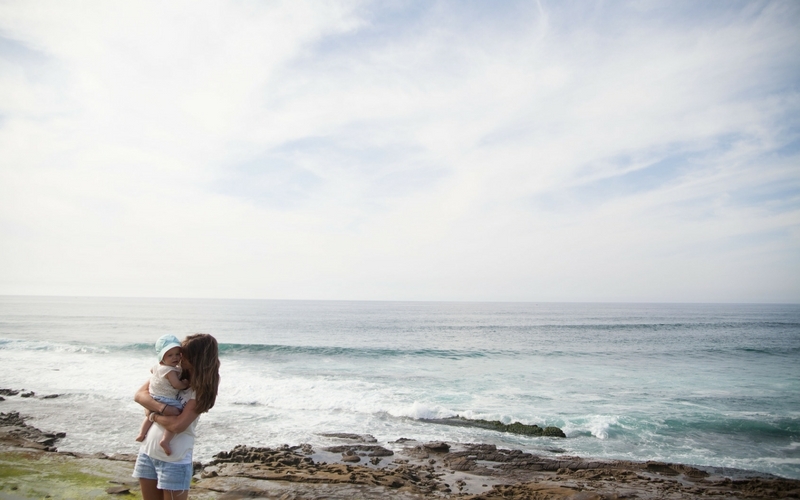 You won’t want to forget this on your next beach trip with a newborn. Baby tents (especially those made for the beach) are incredibly convenient for shade, shelter, and respite from the hustle and bustle of the beach. Look for tents that offer some sort of UV Guard Protection to shield your child from the sun’s harmful rays. Baby tents are typically very simple to set up and fold down to practically nothing. Most come with some sort of storage pouch that make them oh-so portable and easy to tote to and from the beach! A small, inflatable pool is the perfect way to let your baby have beach-y fun with a little more freedom. A tiny pool is the best boredom buster to keep babies cool and entertained. Try throwing in some familiar bath toys for added fun! Exactly as it sounds. Pick up a cheap spray bottle (from the travel section of Target or Walmart, from the dollar store, from your junk drawer, etc.) and fill it with clean and cool tap water before you head to the beach for the day. These come in handy not only to cool off your baby (and yourself!) but for the inevitable sand dilemma as well. A quick spritz of water can prevent sand from making it’s way into your car or even into your baby’s stomach. The most important thing to watch out for when taking your baby to the beach is making sure they do not become overheated or dehydrated. Watch for warning signs such as perspiration, skin that’s warm to your touch, rapid breathing, a flushed face, and restlessness to know when your baby is not feeling well. What gear do you never leave behind when packing for a day at the beach with your little one? What is your baby’s favorite beach toy? Leave a comment below!